Ditch bad money habits and consider ways to improve your financial health. Here are some ideas. The start of a new year is a time to make financial resolutions, ditch bad money habits and consider ways to improve your financial health. Throughout the past year, U.S. News has published stories with great advice on how to save money, pay down debt and reach your financial goals. Read on for the best ways to improve your finances in 2019 and beyond. One of the most effective ways to stretch your budget, reduce debt or boost savings is to make more money. Of course, that’s easier said than done. But don’t neglect the power of negotiating your salary, either at a new job or at your current job, to increase your earning power and improve your finances. Get ready for the next financial crisis. To prepare for the next financial crisis, establish good financial habits, build an emergency fund, pay down debt, rework your investing strategy and boost your professional credentials. The jury is still out on exactly when and how severely Americans will experience the next major economic downturn. But the economy is cyclical, so it’s bound to happen. Become the CFO of your financial household. Approach household money management as if you were the chief financial officer of a major corporation. As household CFO, you should manage cash flow, build long-term plans, know when to delegate, schedule regular money meetings, award bonuses and come up with a plan for succession. A side hustle or part-time job can stretch your budget this year. There is a range of part-time work available, including earning money online, contracting out your skills through an app or partaking in seasonal work. But be wary of employment pitches from multilevel marketing companies. One analysis of income disclosures from those groups found that at about half of these companies, the majority of sellers made no money at all. Having a spending plan is essential to managing expenses, paying down debt and preparing for the future. It doesn’t mean giving up all luxuries or beating yourself up every time you buy a coffee. Instead, it’s about understanding the money coming in and going out each month. Workers with inconsistent paychecks, such as musicians, waiters and salespeople, should be especially careful about maintaining a budget. Certain microhabits can make you rich, says Laura Adams, U.S. News My Money blog contributor. Those include reading one page per day of a personal finance book, listening to 15 minutes of a finance podcast each day, going to bed earlier and automating your savings. Open a 529 savings account. If your children are headed to college or attend private elementary or secondary school, a 529 savings account is a tax-savvy way to save for qualified educational expenses. Take advantage of employer benefits. If your employer offers educational benefits, retirement account contribution matches, low-cost insurance plans, student loan repayment assistance and other perks for workers, consider taking advantage of them. Find a job with paid sick leave. Employees without paid sick benefits are three times more likely to have family incomes below the poverty line, according to recent research. To avoid having to prioritize work over physical health, try negotiating with your boss for paid sick day benefits, finding a new job or, at the very least, building a financial safety net so you can afford to take unpaid sick days. The key to reaching debt payoff goals, hitting savings benchmarks and maintaining investing strategies is to automate payments, writes U.S. News contributor Stacy Rapacon. Don’t forget to check in periodically to make sure everything’s on track. Self-care doesn’t just apply to your skin care routine or your exercise regimen. Financial self-care is about focusing on your finances and determining how money fits into your life, Rapacon says. Kick your adult child out of the house. It’s kind to give Junior a place to stay while he looks for a first job or recovers from a financial setback. But if it imperils your ability to save for retirement, prevents you from downsizing or stops your kid from becoming financially independent, it’s time to kick your adult child out of the house. Prepare to empty the nest by setting expectations early, giving your kid incentives to leave, supporting your child’s transition to his own apartment and fostering independence. Build an estate plan for your pets. If your pets feel like members of the family, consider drawing up a legal plan to provide for their care in the event of your death. An estate plan for your pet may involve updating your will or setting up a legal pet trust. With high-profile security breaches happening regularly these days, savvy consumers should take steps to protect their financial information. Those steps include using complex passwords, keeping devices up-to-date and never sharing personal data with others, says Steven Abrams, contributor to the U.S. News My Money blog. Remove yourself as a co-signer on a loan. To remove yourself as a co-signer, you can apply for a co-signer release, ask the primary borrower to refinance or consolidate the loan, or sell off the asset financed by the loan. In general, your co-borrower will need to have good credit and be willing to help remove your name from the loan. But taking these steps can protect your credit if the primary borrower is unable to repay. The cost of smoking goes beyond the price of a pack of cigarettes. Smokers, on average, earn less at their jobs than nonsmokers, according to one study. They also pay more for health insurance, life insurance, long-term care insurance and disability insurance on the private market. Americans spend more than $100 per month for pay-TV services, according to Leichtman Research Group. Reduce that cost by ditching cable and subscribing to a few budget-friendly streaming services. Round out your viewing with a digital antenna to access local news, sports and entertainment. If your bank charges high fees, pays low interest rates or is located somewhere inconvenient, it may be time to switch banks. Keep in mind that changing banks is complicated, so you’ll need to open the new account, redirect automatic payments and auto-deposits and leave both accounts open for a while before you can finally part ways with your old bank. Learn to co-manage your money. Your long-term relationship may harm your financial literacy, according to recently published research in the Journal of Consumer Research. If one partner or spouse takes sole responsibility over financial matters, the other tends to lose financial knowledge and skills, which can be problematic if the couple divorces or the money-managing spouse dies. To avoid this, discuss goals and financial topics together and make sure both spouses attend meetings with financial advisors. Be smart about what you post on social media. Oversharing details of your life, job or family on social media can harm your financial health, making you a target of scammers and fraudsters or even causing you to lose your job. Think twice before sharing personally identifying information or dissing your boss online. If you have a tendency to make regrettable purchases online after a few drinks, it’s time to break that bad habit and salvage your budget. To stop drunk shopping binges, uninstall shopping apps on your phone, disable sales alerts and delete credit card information from shopping sites. If that fails, shop at stores with good return policies. Spend less on working out. Those gym memberships and boutique fitness classes can add up. But there are strategies you can use to spend less on your physical health, including building a frugal home gym, using workout apps and buying fitness classes in bulk. Say goodbye to ‘extreme’ personal finance strategies. Blogs, books, Reddit and online articles can make it sound like the only way to manage money is through some intense debt-payoff goal or frugal-living strategy. But be wary: Those extreme financial strategies aren’t balanced and may not account for unexpected financial emergencies or unwilling family members. Strive for balance when looking to achieve your financial goals. One of the best ways to protect yourself from financial emergencies and setbacks is with an emergency fund. Aim to save three to six months’ worth of living expenses in an easy-to-access account. Make a plan to pay down debt. Paying down debt doesn’t have to be hard. Make a strategy to repay credit card debt, student loan debt or whichever bills are driving you crazy, then automate extra payments to ensure that you stick to your goal. Skip out on pricey holidays. Fact: You don’t have to overspend on Christmas, Valentine’s Day or any other holiday. If your budget can’t handle it, talk it over with your loved ones and make your own frugal traditions. A more expensive gift isn’t always a better gift, says Christine DiGangi, contributor to the U.S. News My Money blog. Avoid overspending on gifts by putting yourself on a budget and shopping sales when buying holiday, birthday and other presents for loved ones. Sometimes the best thing you can do is turn down a family member asking for a loan or a handout. If helping out a friend or loved one is pushing you into debt or derailing your financial goals, stand your ground and offer nonfinancial support. Buying used products can save you money and reduce waste. But steer clear of mattresses, items that smell bad and outdated dishes and food preparation products, which may have been made with unsafe materials, says Trent Hamm, contributor to the U.S. News My Money blog. Prepare your car for a roadside emergency. Have a plan in place for a car breakdown or roadside emergency. Pack a bag with a first-aid kit, road flares and other supplies. Don’t forget to keep a charger, important insurance information and a spare cellphone in your car, Hamm says. Cut back on dining out. Restaurant meals are typically more expensive than home-cooked dishes. To make eating at home more palatable, schedule a meal-prep day, learn to use your slow cooker and have plenty of cheap, nonperishable dinner ingredients in your pantry. Your cellphone bill is likely a major line item on your budget. Reduce your cellphone bill by switching to a no-contract plan, keeping your phone longer, considering prepaid carriers and using Wi-Fi whenever possible, says U.S. News contributor Jon Lal. Save money on food by learning to cook at home. Learn a few easy one-pot meals and keep long-lasting ingredients stocked in your kitchen for favorite dinners. Don’t forget to make enough for leftovers the next day. If the year’s end came with a bonus or promotion, congratulations. But don’t let your newly increased paycheck result in a more expensive lifestyle, Hamm says. When you receive a raise, increase automatic contributions to retirement accounts, savings and 529 accounts, so you don’t end up spending your newfound cash on luxuries and meals out. Read a personal finance book. There are myriad personal finance books available on everything from taxes to budgeting and investing. Make 2019 the year you crack one of those books open and start exploring strategies and concepts to improve your financial life. Take advantage of shopping holidays. Save money by knowing when certain items go on sale and when major shopping holidays take place. Well-known shopping holidays include Black Friday, Cyber Monday, Amazon Prime Day and tax-free weekends. Protect yourself from the next big data breach. To guard against fraud and identity theft, protect yourself from the next data breach. Strategies include checking your credit reports, setting up fraud alerts and even freezing your credit. Go on a financial diet. To go on a financial diet, you need to cut back on expenses, says U.S. News contributor Geoff Williams. Track your spending and re-evaluate the bills you dread paying each month. Nix unneeded subscriptions, and work to slash your food bills. Thinking about your own demise is not an enjoyable exercise. But that shouldn’t prevent you from taking time this year to write a will, especially if the birth of a child or grandchild, a new marriage or another life event makes previous plans outdated. 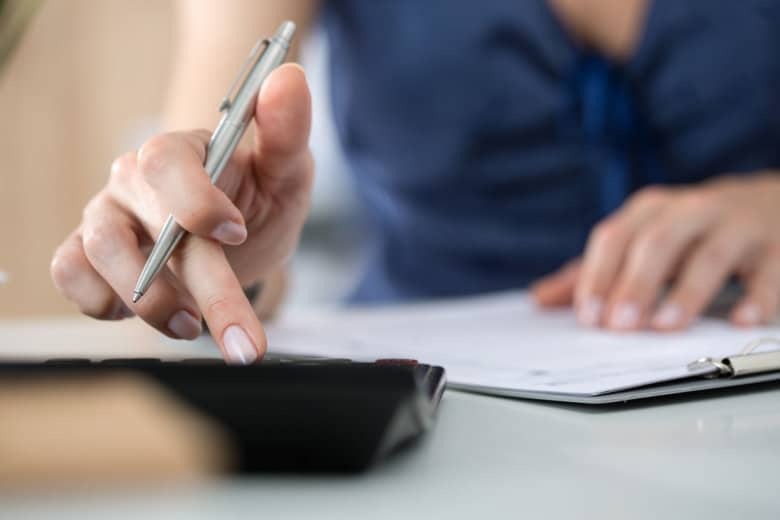 Each month, you may unthinkingly pay for unnecessary expenses, such as pricey subscription services, financial commissions and extra insurance, says U.S. News contributor Maryalene LaPonsie. Take stock of your spending habits and cut where needed. Rethink your fear of debt. Paying down debt, especially high-interest debt, is often a good move. But don’t let your aversion to credit dictate your financial life. Some debt products, such as student loan debt, mortgage debt, business debt and even an auto loan, may yield a worthwhile return and ultimately benefit your financial life, LaPonsie says. Listen to a personal finance podcast. Whether it’s about investing, money management or frugal living, find a financial podcast that keeps you informed and motivated. One suggestion: U.S. News’ Wealth of Knowledge podcast, which features expert insights on financial topics. Many workers assume they have sufficient health insurance, disability insurance and life insurance through their employer. Do an audit of your insurance offerings and determine whether you need to seek additional coverage on the private market. Get financially prepared to be a parent. One key reason that young people are opting not to become parents: Children are too expensive. That’s according to a survey conducted by Morning Consult for the New York Times. If you suspect you’re too broke to be a parent, start examining how you can increase family support, develop a stable lifestyle, build a budget and find sufficient job support to have a kid. Make financial disagreements more constructive by having them early in your relationship, acknowledging each partner’s different approach to money and perhaps getting a referee such as a financial advisor to help resolve disagreements. Stop stressing about money. U.S. News contributor Laura Adams suggests reducing anxiety by cutting expenses, taking on a side job, seeking financial help and staying up-to-date on your financial progress. Stay employable throughout economic downturns and industrywide declines. There’s no time like the present to build your career skills by attending workshops, earning certificates or going back to school. Bonus points if your employer pays for it through an education reimbursement benefit. You can’t achieve your financial goals if you don’t have any. Determine your short-term, medium-term and long-term financial goals, then create a plan to meet them. Make sure your partner or spouse is on board and has the same goals in mind. When assembling your financial team, make sure that you’re working with financial advisors, estate-planning attorneys and tax professionals who approach money in a way that makes sense to you and who have and maintain professional credentials and licensing. Like anything else, personal finance undergoes its share of trends, from the tiny house craze to the FIRE movement to cryptocurrency investing. Evaluate each trend based on your current needs and goals before getting involved. Some may be a great fit. Others may not be right for you. To recap, here are a few of the money moves you can make in 2019 to improve your finances. — Prepare for the next financial crisis. — Consider a side hustle. — Adopt financially savvy microhabits. — Find a job with paid sick leave. — Become the CFO of your financial household. — Take advantage of shopping holidays. — Protect yourself from the next big data breach. These changes will help improve your financial health next year and into the future.